Stage is set in Delhi for one of the hotly contested battles of 2014. 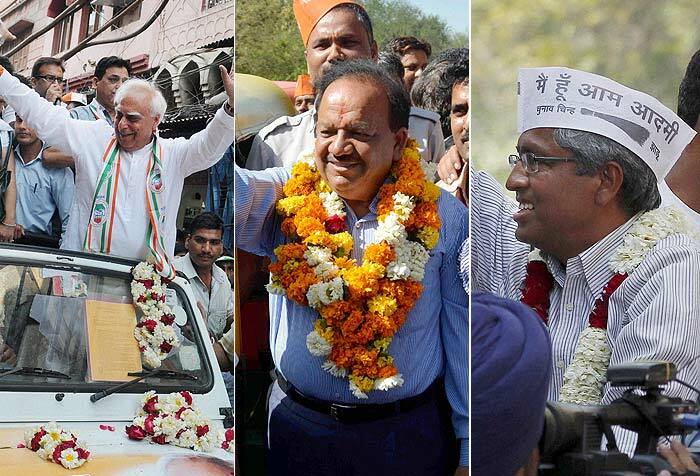 The seven seats up for polls in the third phase, will see a three-way contest between Congress, BJP and AAP. Chandni Chowk will see Union Minister and current MP from the constituency, Kapil Sibal clash with Dr Harsh Vardhan of BJP and former journnalist turned politician Ashutosh of AAP. 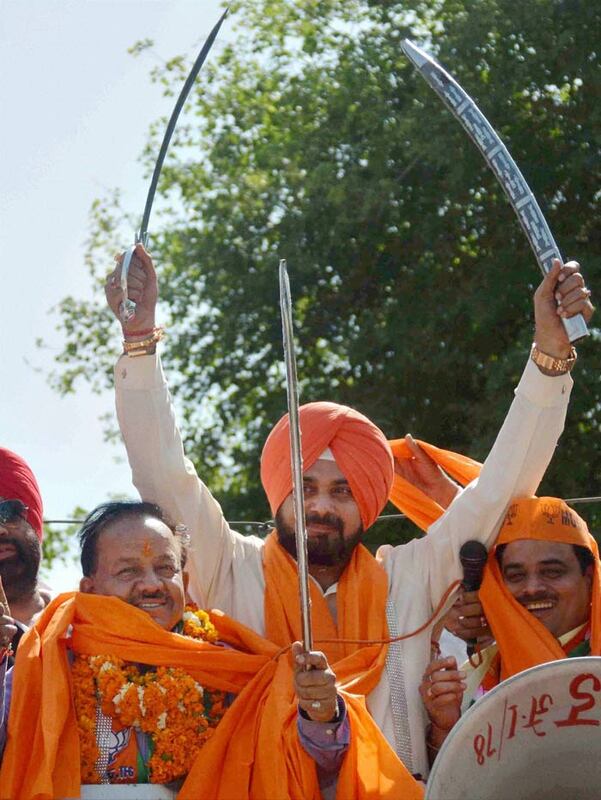 BJP leader and former cricketer, Navjot Singh Sidhu campaigns for the party candidate from Chadni Chowk, Dr Harsh Vardhan. 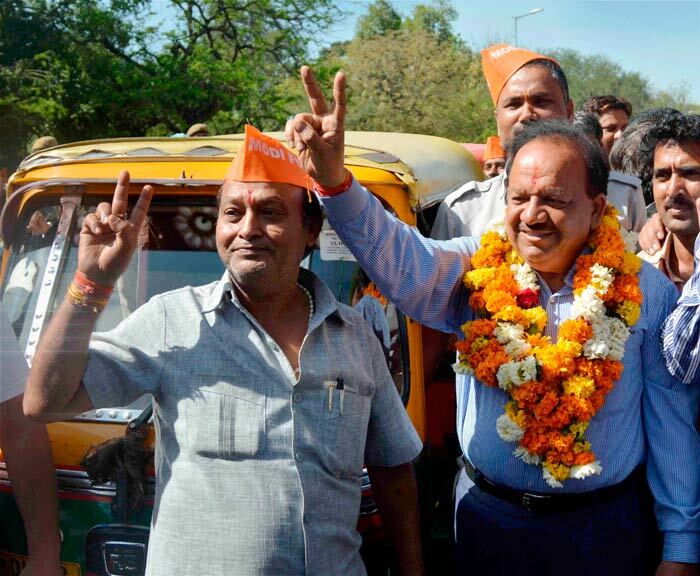 BJP candidate from Chandni Chowk, Harsh Vardhan during an auto rickshaw campaign in the city. 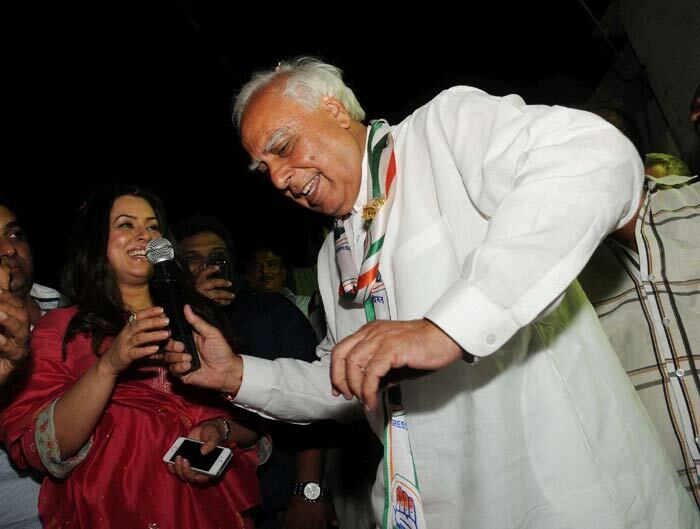 Congress candidate of Chandni Chowk, Kapil Sibal with Actress Mahima Chowdhry during his campaign for Lok Sabha elections. 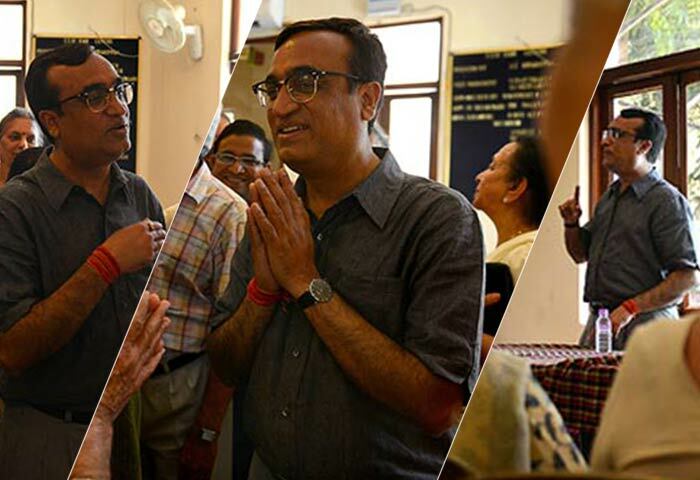 Congress party senior leader Ajay Maken talks to attendees as he campaigns in New Delhi. Ajay Maken is pitted against Meenakshi Lekhi (BJP), Ashish Khetan (AAP) and actor Biswajit Chatterjee (TMC) in the New Delhi constituency. Actress Padmini Kolhapure campaigns for actor and Trinamool Congress candidate from New Delhi constituency, Biswajit Chatterjee. 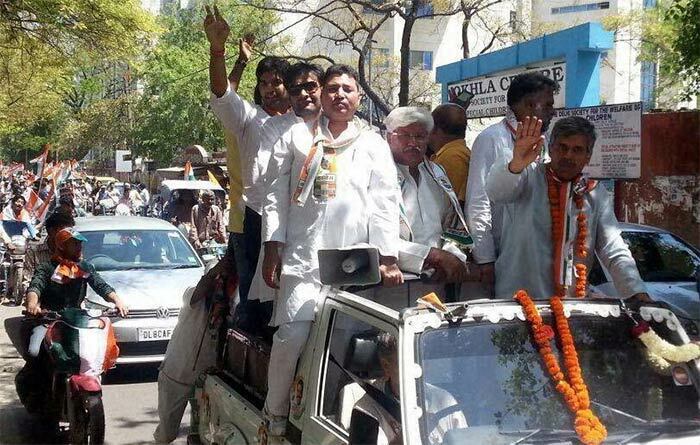 Congress candidate from East Delhi, Sandeep Dikshit at an election road show. The sitting MP is pitted against Rajmohan Gandhi of AAP and Mahesh Giri of BJP. Congress candidate from Delhi North East seat, J P Agarwal addresses an election rally. He is contesting against Manoj Tiwari of BJP and Anand Kumar of AAP. 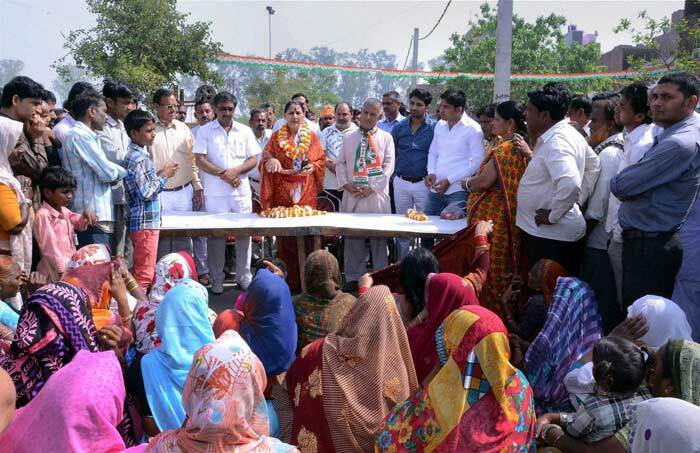 Congress candidate for North West Delhi, Krishna Tirath addresses an election campaign rally. She is up against Rakhi Birla of AAP and Udit Raj of BJP. Aam Admi Party convener, Arvind Kejriwal campaigns with AAP candidate for North West Delhi constituency, Rakhi Birla during a road show in New Delhi. BJP candidate from North West Delhi, Udit Raj is weighed against Ladoos by his supporters. 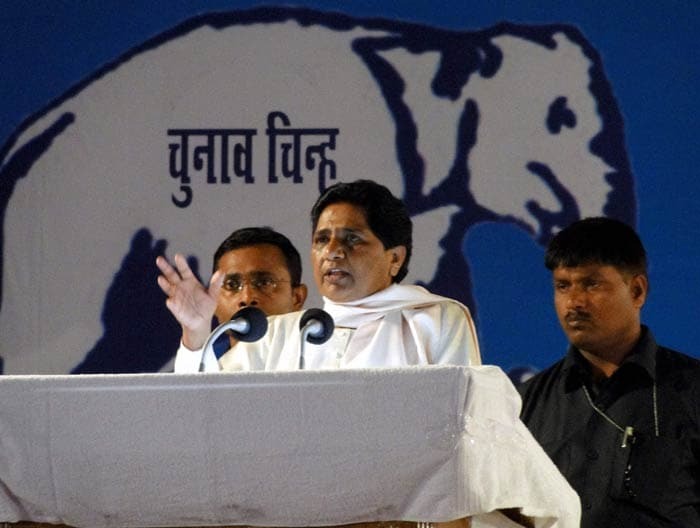 Bahujan Samaj Party supremo, Mayawati addresses an election rally at Sultanpuri. BSP has fielded candidates for all seven constituencies in Delhi. 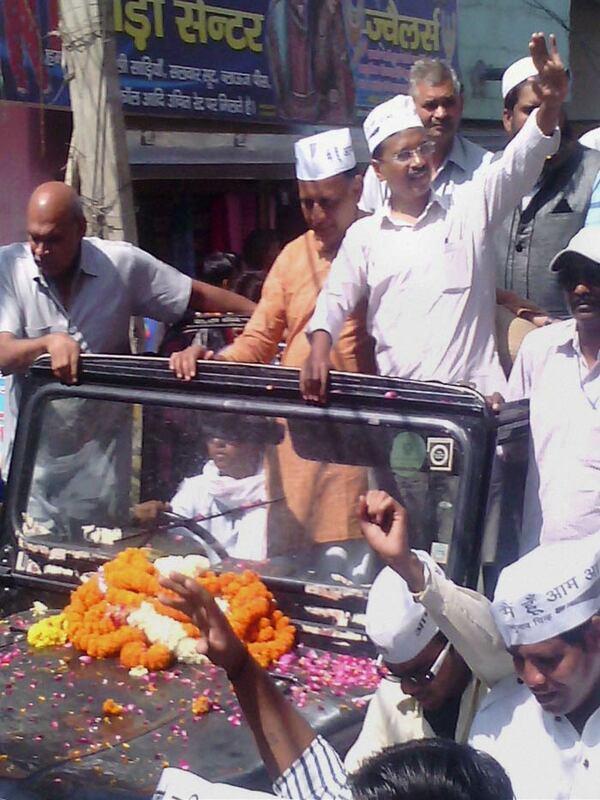 AAP leader Arvind Kejriwal during a road show in New Delhi. 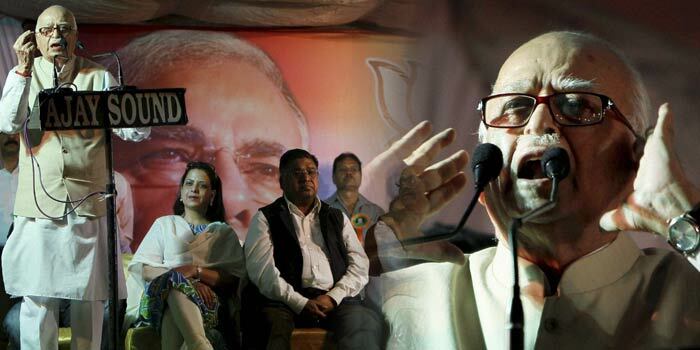 BJP senior leader, L K Advani addresses an election rally in New Delhi. 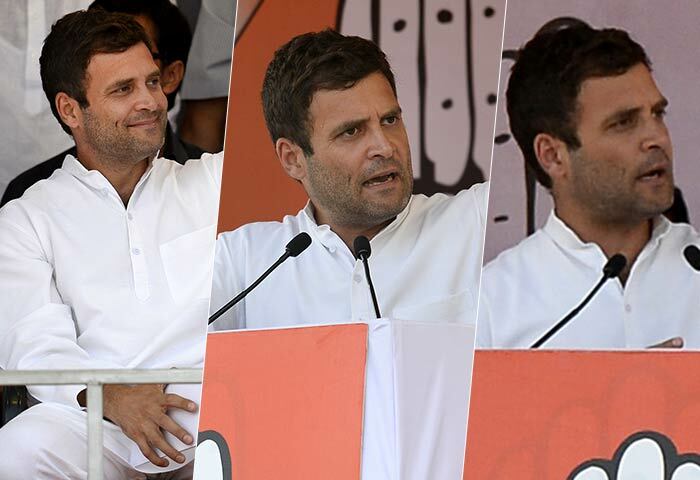 Congress Party Vice-President, Rahul Gandhi addresses supporters during a rally in New Delhi. 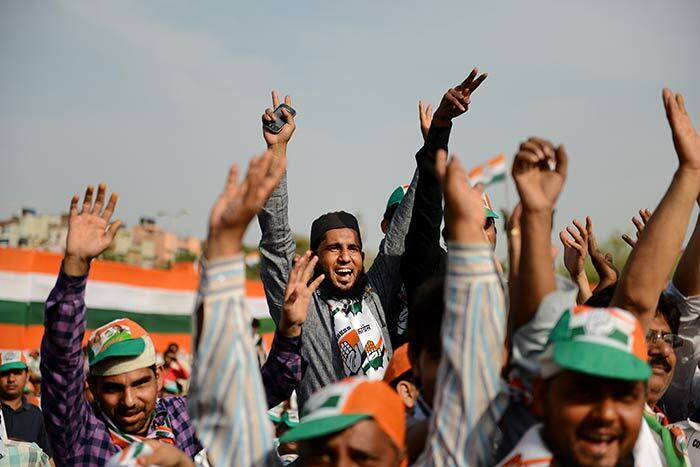 Supporters cheer Rahul Gandhi during a rally in New Delhi. 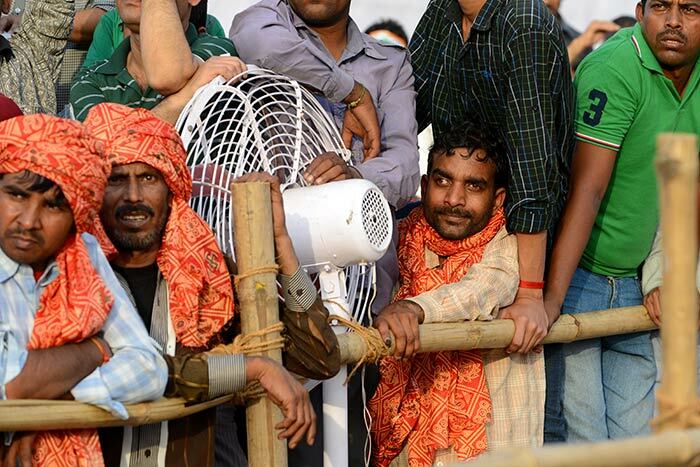 Supporters at Rahul Gandhi's election rally in New Delhi.